If you’re going to say “I do,” here are some things you might want to do. Are you marrying soon? Have you recently married? As you begin your life together, it is important for you to start planning your financial future together and putting your finances on the same page. 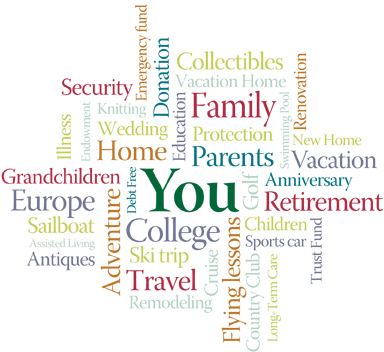 Here are some priorities you might want to write down on your financial to-do list. Plan for retirement. There is a chance that decades from now, many of us who are currently saving and investing for the future might end up millionaires. Actually, we may need to become millionaires. Given ongoing advances in health care, how long might you live? Living to be 90 or 100 might be commonplace for members of Gen X and Gen Y. Factor in inflation’s effect on the cost of goods and services, and you can see a possible scenario ahead where you might need, say, $100,000 or more a year for 30 years to have a nice retirement without outliving your money. This (strong) possibility means you may want to make saving for retirement now a higher priority. Often, one spouse is more risk averse than the other. So, you need to agree on the investment approach you take, preferably with the help of a financial professional who can help you determine how much money you might need for certain life goals or financial objectives. 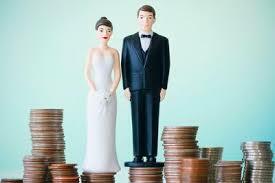 Debt management should be a priority for any newly married couple. There are debts, which we assume on the way to a positive result (such as a mortgage), but there are also those we assume through our credit cards and other channels, which may not benefit us in the long term. Live within your means. An established, mutually-agreed-upon budget can be very helpful in this regard. Different people have different levels of thrift and different perceptions of what a “bargain” looks like. This perception gap can result in some interesting financial moments in your life – your spouse may pick up a “bargain” that you would call an extravagance. Save for college. If you plan to raise children, it is never too soon to start. You can do it a little at a time, a little per month. You can open a college savings account with equity investment options or investment options that pose lower risks. A 529 plan may offer some fine tax breaks. Insure yourself. If you are under 40, you may not have any kind of disability or life insurance. Now may be the right time to buy some. Getting a policy early can be cost efficient: if you buy a term life policy (or even a permanent life policy) when you are young and healthy, chances are you will pay less expensive premiums than people over age 40 who may be obese, diabetic, or heavy smokers or drinkers. Communicate to avoid surprises. No matter how much of a “we” a couple becomes, there is always the need for some private space, some individual pursuits and “me time.” Regarding your shared financial life, however, this is probably not the best approach. When a spouse starts to hide a money-related matter or omit it from conversations, it may open the door to troubles. Open, frank conversations about money may be the best way to avoid problems in your finances (as well as your relationship). Build an emergency fund. Too many couples live on margin. Consider building up a cash reserve (gradually, if necessary) that you could tap into should things get rough. You will not regret having it around.